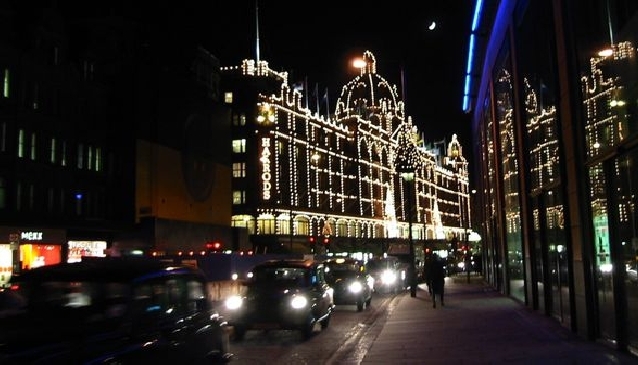 Just like Paris, New York and Milan, London is one of the most exclusive shopping capitals in the world. A sprawling city that buzzes with cosmopolitan life and bright city lights, London sparkles with the promise of endless fashion freedom. From high-waisted hemlines to sky-high stilettos and peep-toe perfection, London has it all. And, where style is concerned this fashion-forward city does nothing by halves. With pockets of shopping streets dotted around the city, there are plenty of places for die-hard fashionistas to dose up on their fashion-fix and indulge in their quirky individuality. You can leave looking like Paris Hilton, dripping in designer labels from Gucci to Givenchy, or Lady Gaga, mixing vibrant lacy vintage with shiny spandex and bold biker boots. But in a city that means big business when it comes to its fruitful fashion, it is no wonder that we all need a little help when deciding where to spend our hard-earned cash. So without further ado, here’s just one girl’s guide to shopping in London covering where to look-out for luscious labels and where to scour for beautiful boutiques. Happy hunting my fellow fashion fiends. Oh, and just one more thing-having a boy around always helps when it comes to the carrying bags department; just something for you to mull over! Close to Knightsbridge lies this little pocket of shopping hot-spots. Jump out of Sloane Square station and you will be faced with curving façade of Peter Jones, yet another department and a high-brow haven with everything from fashion to homeware and electricals. And, with brands from Levis to L K Bennett, it is slightly less pricey than Harrods and Harvey Nics but still sophisticatedly stylish nevertheless. Wander down Sloane Street to reach the Duke of York Square, a charming pedestrianized precinct of shops, cafes and restaurants. Head down a little further and you will hit the King’s Road, a luscious lane of luxury full of high-end boutiques, independent shoe shops and well-established brands. Whilst more formally known for its parade of shops dedicated to the goddess of high-street-style, there is one mega-shop in Oxford Street that cannot be missed off this highbrow list: Selfridges. If shopping-Satan had a name it would be Selfridges. Voted the best department store in the world, Selfridges is a wily temptress who lures us with its latest in designer collections, toys, gifts, beauty, skincare and an enormous food court full of luxurious hampers and tasty treats. All that, and the chance of a celebrity sighting; definitely a place for the high-flyers and shopping elite. Famous for its twinkling string of Christmas lights, Regent Street does fashion just as well as festivities. Filled with luxury shops and dining delights, this vibrant street is well worth a visit. And home to Hamleys, one of the world’s largest toy shops, as well as an enormous Apple store, it is clear that this is a street designed with pure, unadulterated and guilt-free shopping in mind…enjoy! A major shopping street lying between Oxford Street and Piccadilly, Bond Street brims with designers from Boodles to Burberry. Nestled between famous five-star hotels, (The Ritz, Claridge’s, The Dorchester), and big-wig auction houses, (Bonhams and Sotheby’s), Bond Street screams-out to the privileged passer-by. Other than on the monopoly board, Marylebone is famously known as an affluent area in central London. Located just a ten minute walk away from Bond Street station, Marylebone High Street sparkles with a chic and continental style café culture. Dotted with high street shops and highbrow brands, you know you have made it when you hit Marylebone High Street. So there you have it, a whistle-stop tour of London’s high-life shopping scene; a rich and dazzling array of department stores, beautiful boutiques and innovative independent shops. Keep your eyes peeled for our second shopping guide on how to bag the best bargain in London. I just need to pop out for a little market research first.